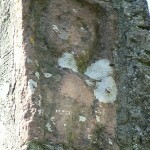 This sheela was once very impressive but has become very badly eroded since the removal of it’s ivy covering. 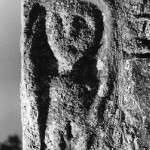 It is housed in a frame similar to the Dunnaman sheela. 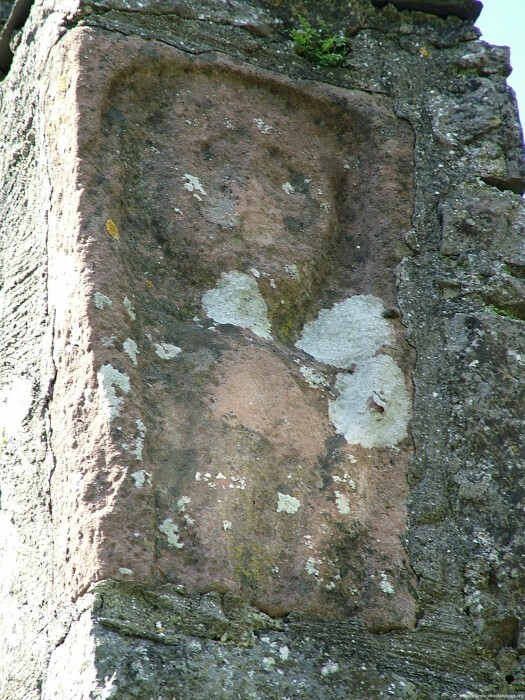 A head on the other side of the building looks like the same sculptor but with the lower half of the stone missing is is impossible to call it a Sheela. 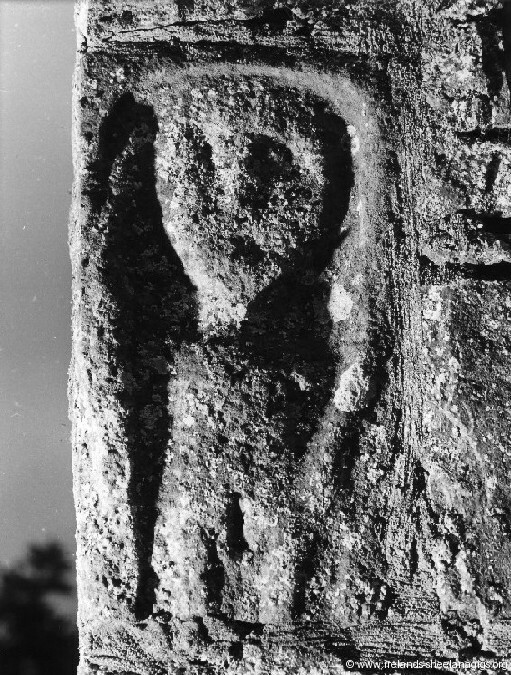 The Abbey is in the grounds of Malahide Castle, where you may park, walk and visit the sheela (with permission) or by jumping over the wall. An admission charge applies only to the Castle. 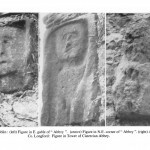 Sept 2004, I was very pleased to see the area in front of the sheela had been cleaned up and even though I brought a ladder, it was not needed for taking a photo. 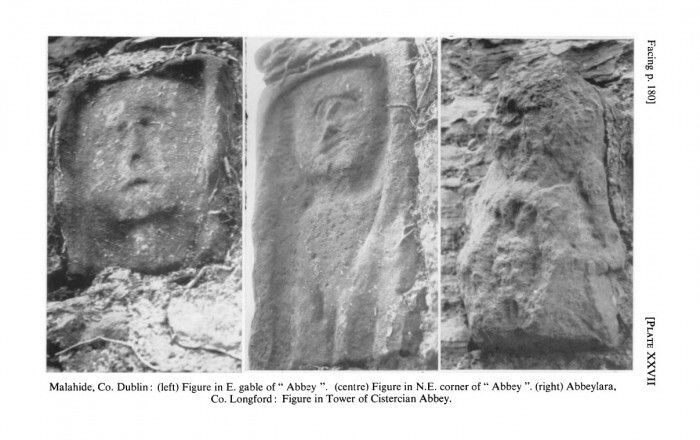 You can see from the photo why they thought there were 2 sheelas on this Abbey. With the framing and the Red Sandstone being the same, it was an easy assumption but the facial features are far too serene to fit in with all the other sheelas. Malahide is a coastal town in north Dublin and close to the Airport, see map below.